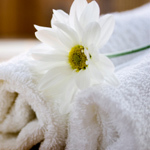 We offer a variety of services for the benefit of Wellness, Beauty and Therapy. Full esthetics and massage services available by certified skin care Specialists. "The Tatamagouche Light" Mon Repos Day Spa voted best relaxation station (Massage, Esthetics & Spa) on the North Shore. "Love coming here... you restore me!" "Thanks Megan for the pedicure and relaxation today. So enjoyed!!" © 2013 Mon Repos Spa LLC.